12 Oaks - Presale entered for comp purposes only. MLS#2247733. 930. This gem is nestled inside the premier 12 Oaks community w/ resort like amenities. Quick commute to RTP! MLS#2247463. 1127. 12 Oaks - This warm and welcoming home is a true SOUTHERN GEM! MLS#2246299. 297. Spacious mudroom, inviting screened porch, loft, & luxury owners bath add charm & functionality to this home located in this desirable community. Short walk to pool! MLS#2247549. 4981. Known for their energy-efficient features, our homes help you live a healthier and quieter lifestyle while saving thousands of dollars on utility bills. MLS#2247411. 3037. Carrington Estates - Dwnstrs Master Bedroom, upstairs are 3 more Bedroom's PLUS the bonus Room w/ bookshelves & TV. MLS#2245419. 995. Known for their energy-efficient features, our homes help you live a healthier and quieter lifestyle while saving thousands of dollars on utility bills. MLS#2247385. 3037. Avocet - Presale for comp purposes. MLS#2247157. 604. Parkside Village - STAINLESS STEEL appliances. RECESS LED lighting. MLS#2247007. 4965. Play in the Front, Side & or Backyard & be the apple of the neighborhood's eye! Pool, Golf, Tennis MLS#2246982. 1127. Sunset Ridge - New Lifetime GAF Timberline roof. Minutes to parks & walking trails! ! MLS#2246659. 5026. Upstairs features an oversized owner suite bedroom along with a bonus room. MLS#2246912. 835. First Floor Master with en suite & walk in closet, stunning sun room, open kitchen/living, trim throughout, large bonus Room, flex Room or office, HVAC less than 3 yrs old, rocking chair front porch, private patio near community pool, upgrades galore (pergola, fence, plantation shutters, new granite in both full baths, new front door, hardwoods in master, dehumidifier in crawl space, etc) Walking dis to Community pool (added fee www.clubatsunset.com MLS#2246181. 5019. Windcrest - Close to Ting and Bass Lake Park...come see! ! 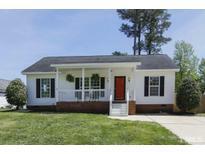 MLS#2242534. 297. Too many features to list here! MLS#2246571. 2017. Finished walkout basement w/full bath and 2 storage rooms totaling close to 600 sq ft. Stained screened porch & deck. Immaculate! A MUST SEE! MLS#2245332. 4542. Fieldstone - Too Much to Mention!! Don't Miss! MLS#2246323. 633. Holly Glen - 2 Community pools, tennis courts, & playground. Access walking/bike trails, 540 MLS#2246393. 987. Oak Hall - equip, pool table, & hot tub convey. MLS#2245856. 2794. 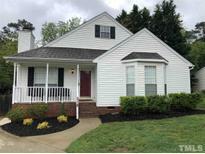 Springhill - Seller is offering 1 Year AHS Home Warranty. MLS#2242644. 3196. Springhill - Home wired for surround sound and security system included. HVAC was replaced in 2017! MLS#2246327. 4632. 12 Oaks Club community social fee for pool, weight room, tennis, pickle ball and clubhouse and is required with ownership. MLS#2246093. 5026.